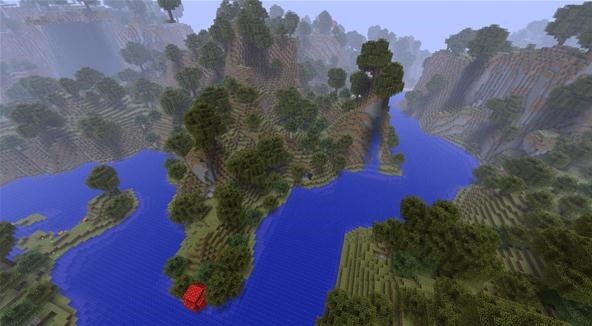 Here we can see the first released image of a game-generated river! It's a safe bet at the moment that it will face similar height restrictions as default water generation, but that may change in time - after all, we already have legitimately generated "waterfalls"! Very cool, I am very excited!